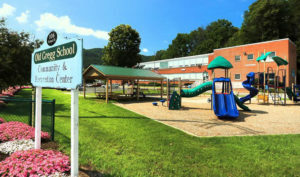 Our Mission at the Penns Valley Youth Center is to provide students in the community with hope, worth and friendship. To do so we provide a fun and safe environment in order to encourage healthy habits and promote wise choices. Do you remember when you were in high school? Teenage years are a crazy time. Increased after-school workload, increased commitment required from athletics, highly competitive collegiate entrance requirements all add to the mounting pressure facing high school and junior high students. Teenagers from every walk of life need a third place – a place outside of the home and the school – where they can relax, have fun, meet friends, and be themselves. That’s PVYC! Since our doors opened in 2011 we’ve continue to expand our programs and staff, but our goal remains the same. We believe everything we do should be fun. The Penns Valley Youth Center will always be a safe, welcoming place for teenagers in our community to find hope, worth and friendship. Our staff come from all walks of life but share one thing in common; we really like teenagers. We look far and wide for responsible adults willing to volunteer time. We have young adults, moms, grandmothers, men and women on our staff. All of our volunteers are screened carefully and share our values. 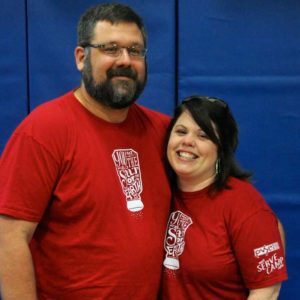 Darren Narber along with his wife, Anne, currently serve as the Director of PVYC. PVYC began in a renovated room in the Old Gregg School Community Center. In September 2011, we transformed an old school classroom into a fun and inviting space for teenagers. A room that many people remembered as their kindergarten class became a fully functional youth center. With a Cafe, stage, seating and video game area, there is sure to be something every teenager will enjoy. We also have the use of the gym, where we play dodgeball, basketball, and other physical activities.